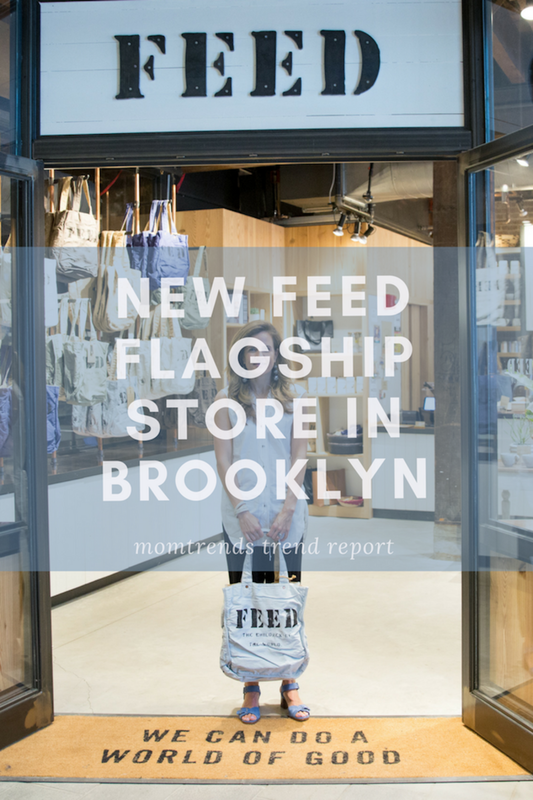 I&apos;m excited to share some pictures of the new FEED flagship store in Brooklyn. It&apos;s bound to be a community hub and it&apos;s already become my go-to spot for something cool and refreshing this summer. 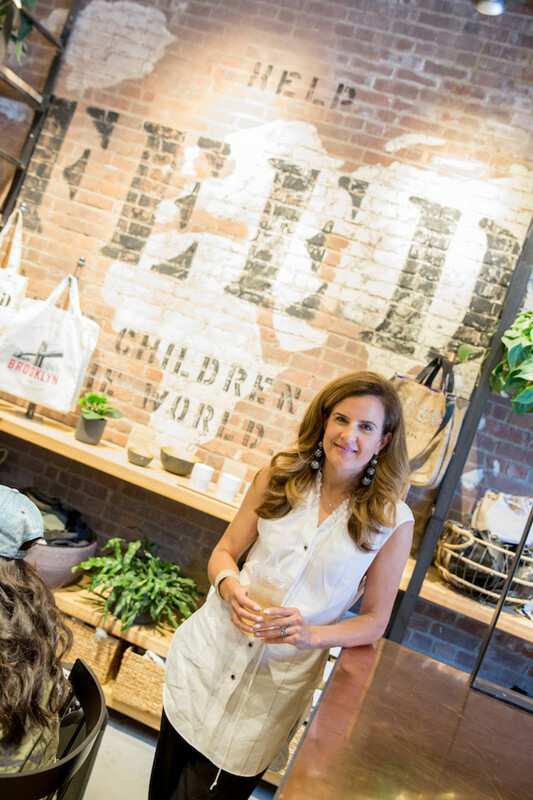 Lauren Bush has thrown her heart and soul into this new spot that is both boutique and café and I&apos;m giving it rave reviews. It&apos;s a big deal, this is part of a big rehabilitation of the Empire Stores in my neighborhood. When I moved in 11 years ago, this building was derelict. Now, it&apos;s thriving. And FEED fits right in. Grab your favorite caffeine and pop open your laptop or meet a girlfriend to catch up and do a little shopping. This is a spot where you can linger. A few days ago I stopped in to take some pictures with Suzanne Cohen. 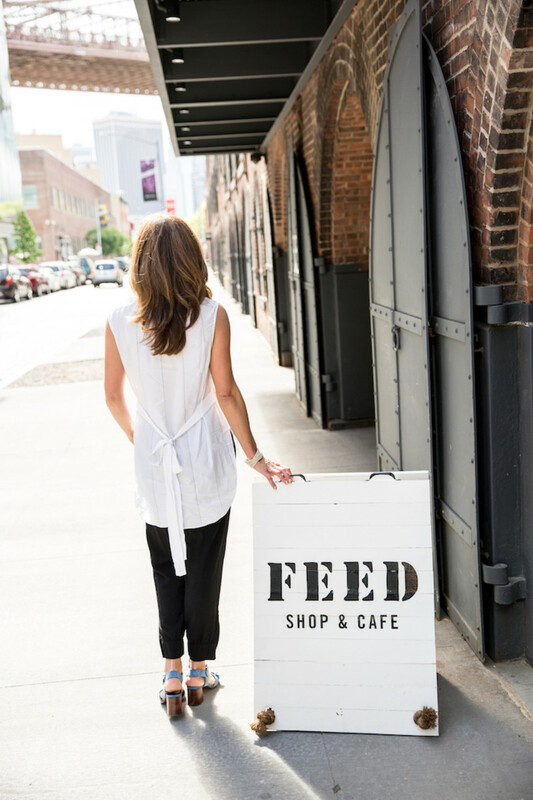 I wanted to share how cool this space is—it&apos;s got all the FEED bags I love as well as freshly brewed iced tea (get the jasmine flavor) and java that will appeal to even the biggest coffee snobs. The FEED blend is roasted in partnership with La Colombe. There&apos;s also a yummy mix of pastries and sweets there from a local NYC bakery. I wanted you to get a sense of the space...it&apos;s amazing how my neighborhood has changed in a decade. I&apos;m so excited to see small, powerful, female-owned brands as part of the future. Let&apos;s talk about what I&apos;m wearing. The warmer weather is here, and this outfit is perfect. This Stripe Cotton linen shirt" target="_blank" rel="noopener noreferrer">stripe sleeveless shirt is from Colovos. It has a drawstring ruched detail on the neck, and is so breezy. This top is playful. You can use the tie in the front or back. I&apos;ll be experimenting with the length throughout the summer and this will be paired with shorts as well as pants. I&apos;ve talked about Colovos before, the duo behind the brand are parents at my girl&apos;s school. Not only are they likely the coolest parents at the school, they are amazingly talented. Nicole and Michael Colovos won the CFDA&apos;s first emerging designer prize for their line Habitual. In 2015 they launched Colovos, and I&apos;m hooked. You can get some of the line at Nordstrom or you can visit the duo&apos;s website. I paired the top with a black jogger from Splendid—these are great travel pants and slouchy and comfy. I&apos;ve had these for years and they are on heavy rotation. By now you know I love shoes, I also have to walk a lot. When I find a pair that&apos;s trendy and comfortable—I&apos;m in. I found this pair of blue leather and suede Poma sandals from Robert Clergerie at a local Brooklyn Boutique. Aren&apos;t they chic! And, of course, we have to talk about the bags. That&apos;s how it all started. 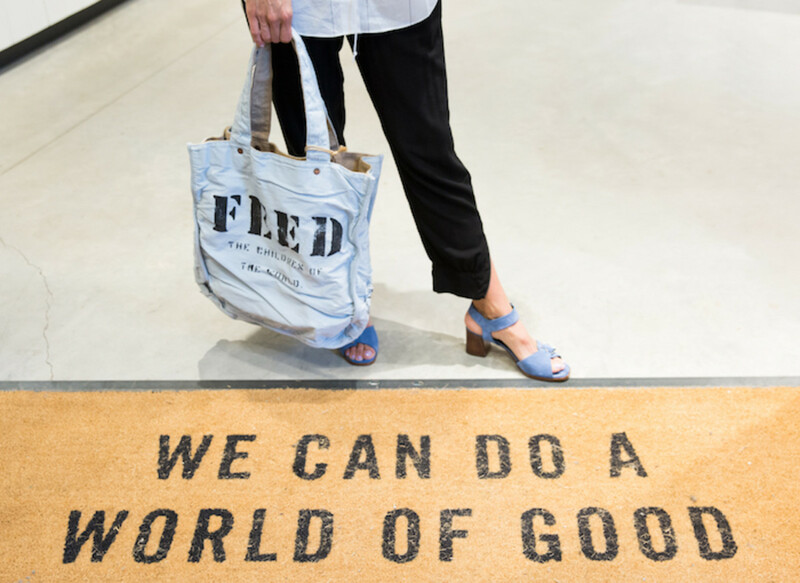 Lauren started FEED bags to help families in dire situations. 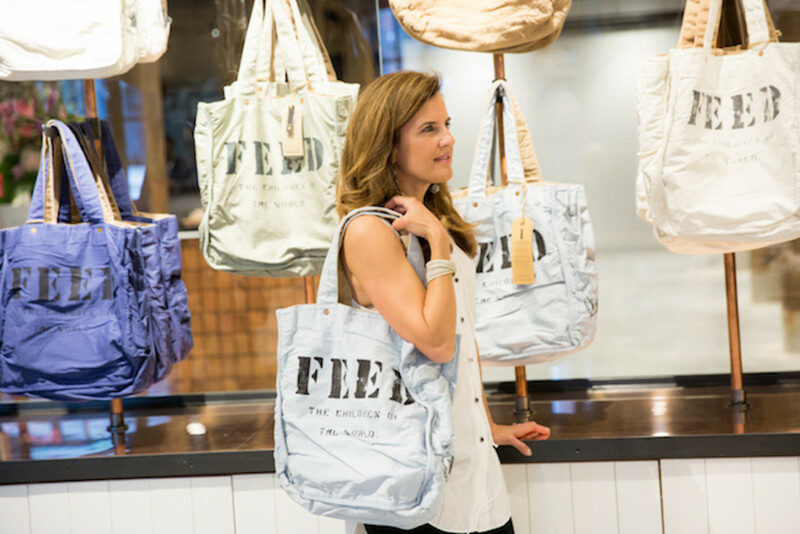 She used her fashion connections to come up with a practical bag that is perfect for any mom on the go. This is the original Feed Bag. When you purchase it, you will provide 185 school meals for children around the world. 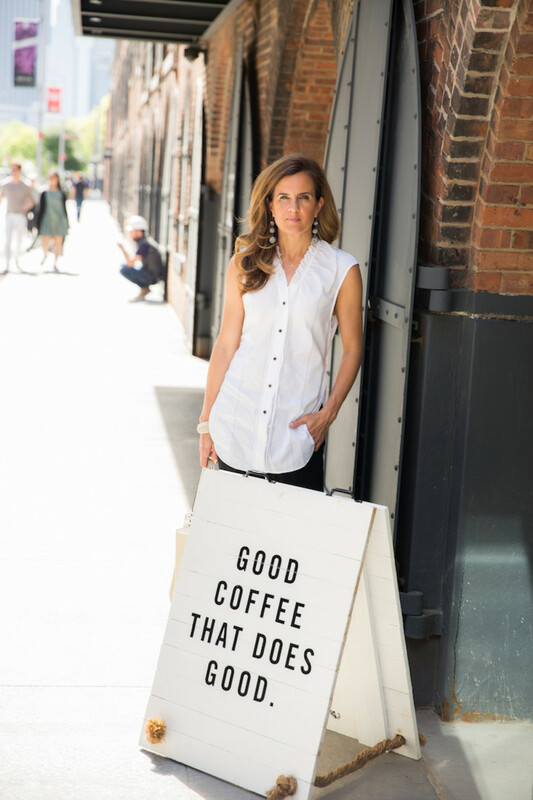 It&apos;s ideal for any busy New Yorker or multi-tasking mama. There it is...grab a bag, sip your FEED Heritage coffee blend and enjoy my neighborhood!